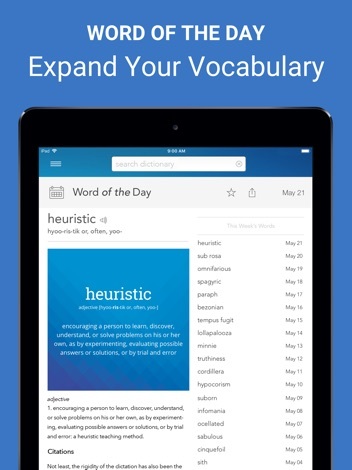 - Minor improvements to the word of the day pages. 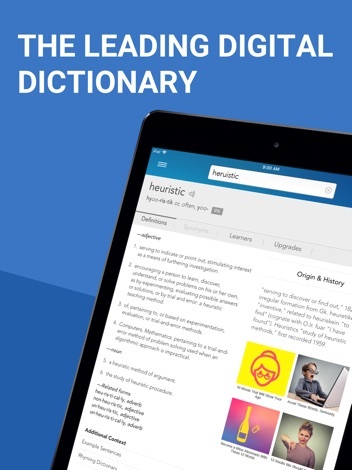 Download the most essential and comprehensive dictionary app for dependable definitions at your fingertips. 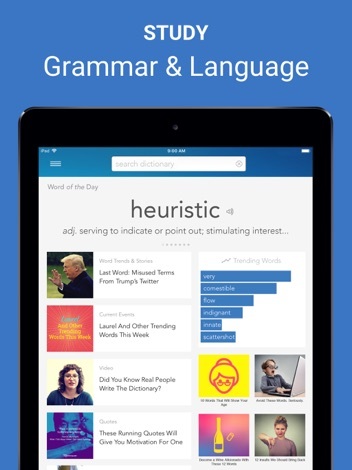 Dictionary.com is the leading free English dictionary app for iPad– with over 2,000,000 trusted definitions and synonyms. The app is designed and optimized for your device. 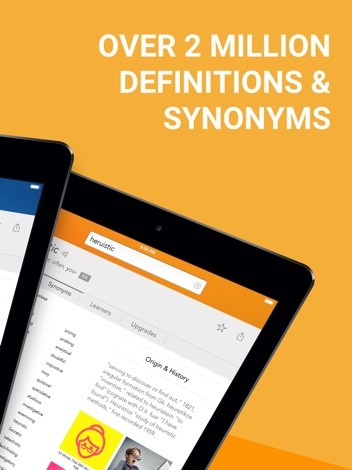 Easily search definitions and synonyms offline. 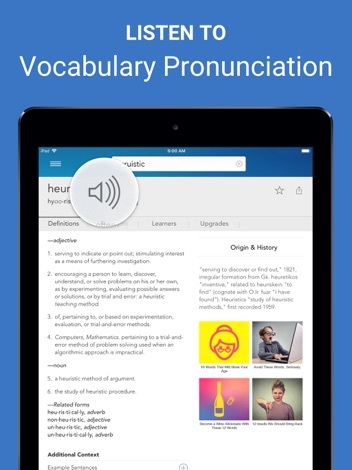 You can access the offline dictionary anytime and anywhere - you do not need an internet connection. Voice search and audio pronunciation requires connection.